Opera Lyra is stepping out of the proverbial box next season by putting a modern spin on some classic operas, and they are giving us a little taste of what is to come with Mozart’s The Marriage of Figaro currently playing until March 28th at National Art Centre’s Southam Hall. Traditionally set in Seville, Spain, OL has uprooted this “exuberant comedy” and placed it in post-Edwardian England (think Downton Abbey), where the strictures of aristocratic British society make it a natural fit. Sung beautifully, full of laughs, and featuring a stand-out performance from an Ottawa native The Marriage of Figaro is a fine ending to the 2014-2015 season. This famed opera buffa (comic opera) continues the narrative of The Barber of Seville (OL’s 2015-2016 season opener), picking up the story several years later in the manor house of Count and Countess Almaviva. You don’t, however, need to be familiar with Barber in order to enjoy the relatively straightforward premise of Figaro. A classic tale where infidelity, miscommunication, and mistaken identity all serve as both plot points and comic devices, Mozart is able to question the class system in an absurdly morally upright society (like those in Britain or Spain) in a humorous way. This production in particular features a strong cast and standout performances from many of its members. Baritones John Brancy and James Westman are quite funny as the amorous husbands, Figaro and Count Almaviva (respectively). They are matched equally by sopranos and lady-wives Sasha Djihanian as Susanna and Nathalie Paulin as Rosina, Countess Almaviva. 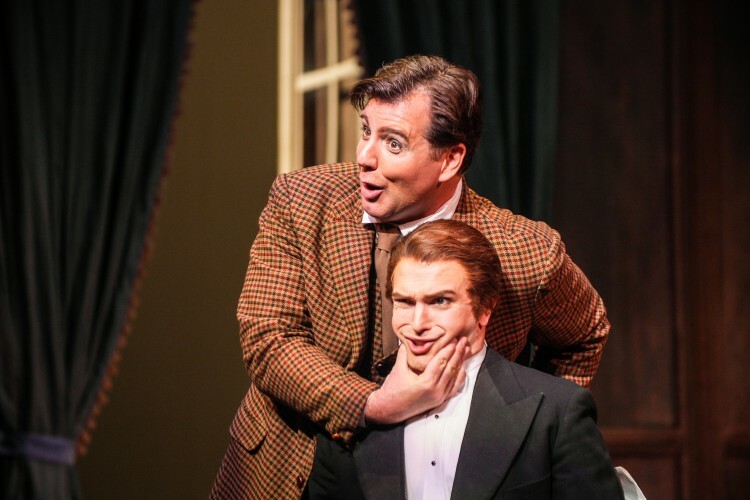 Aaron Ferguson, in the dual role of Basilio and Don Curzio, is perhaps my favourite tertiary character as I found his vocal tone and characterization to add an interesting flavour to the ensemble. 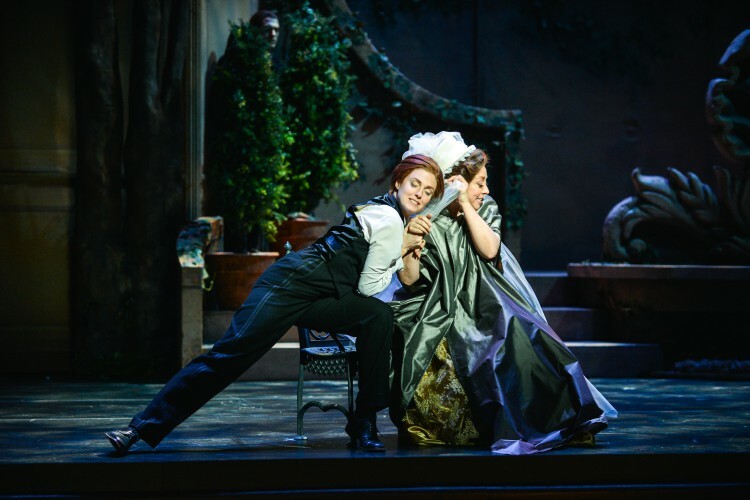 Despite these remarkable performances, on opening night, Wallis Giunta as the lustful and romantic youth Cherubino unquestionably stole the show. Hailing from our nation’s capital, Giunta performs her character (classically cast en travesti) with relish. The way she reacts to the scenes and to the performers around her gives her such a unique presence that it becomes difficult not to watch her whenever she is on stage. She is funny, heart-warming, and more importantly, she makes you believe the conflictual emotions (and hormones) found within a youth coming into adulthood. The design in this production also warrants mention. The set, by Constantinos Kritikos, is a grandiose manor home with lots of classical columns and sumptuous valances and curtains. The “Country House Front Drop” designed by Philip Silver, is a clever addition to the overall aesthetic and is certainly useful when transitioning through scene changes. Costume designer Sarah Waghorn stays true to both the time period and British culture while also showcasing some stunning dresses.. In particular, the wedding dress worn by Susanna and designed by David McCaffrey of Ottawa’s own McCaffrey Haute Couture is lovely and inspires a fantasy all on its own. Lovers of fashion will surely be delighted by the variety of garments shown on stage throughout the show. Opera Lyra’s take on Mozart’s Le Nozze di Figaro is a nice preview of what is in store for audiences next September. Advertising a “bold, new expanded season” for 2015-2016, OL is taking two classic operas (The Barber of Seville and Fidelio) and placing them in more contemporary contexts. The proficiency of Figaro‘s ensemble combined with the thoughtfulness of the design elements makes for a thoroughly enjoyable production and I, for one, am already looking forward to next season. 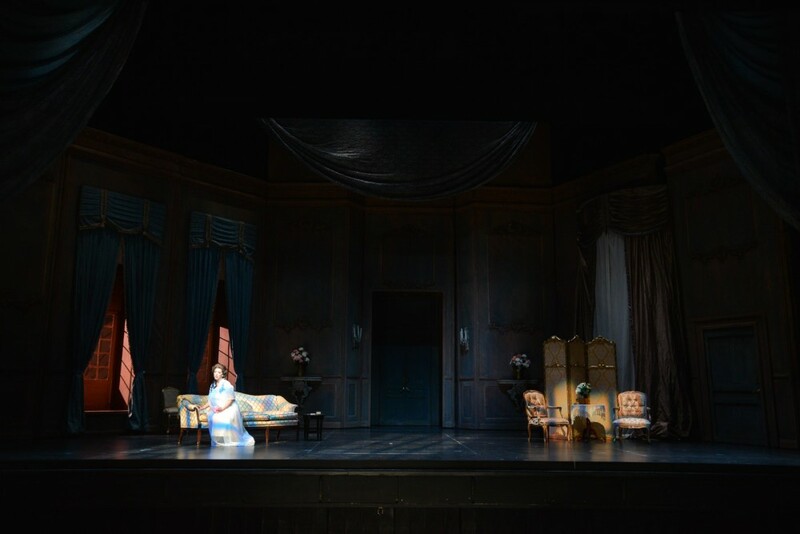 The Marriage of Figaro is playing until March 28th. Ticket info here.